Ladies Night Out: Mermaid University! From 6:00-7:00 PM on the second Friday of every month in 2018! $48 a person, $10 discount if you purchase a tail from us! Turn two feet into one mermaid tail at Dolphin Swim Club's Mermaid University! Perfect for a Ladies Night Out, special work outing, or any type of celebration...you will learn to float, twirl, spin, and swim safely while living out your mermaid dreams! Private sessions can be arranged for groups of 4 or more. Please email us for arrangements. 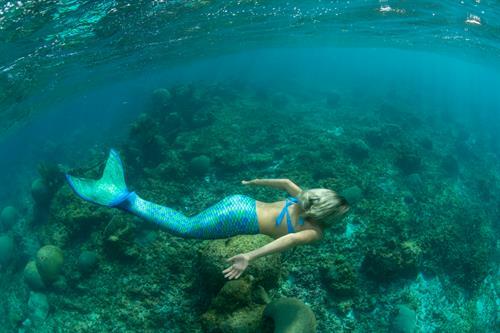 This 1 hour Mermaid University class is for adults ages 15 and up with basic swimming skills. Classes are available for younger children, please call us at (847)854-1300 for details. Classes run 1x a month, you can sign up for as many sessions as you like!